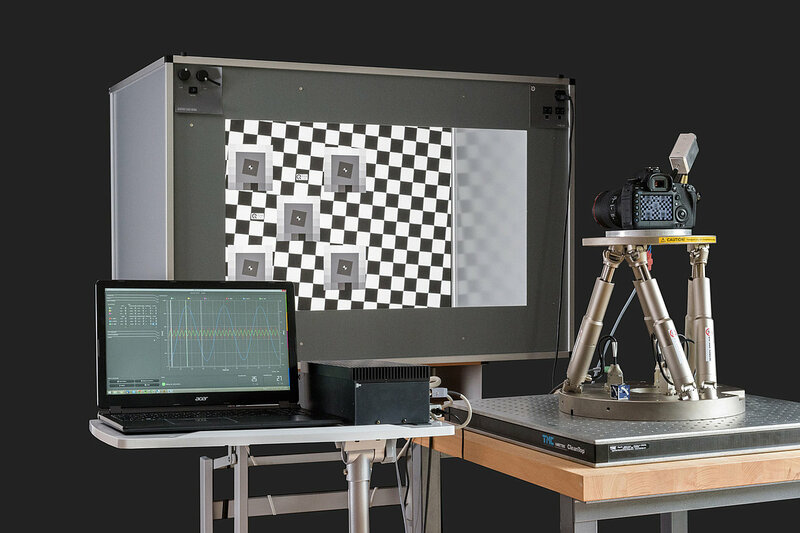 Motion simulation is crucial in the evaluation of many devices, including vibrating testing of vehicles or airplanes, response testing of accelerometers or gyroscopes and image sensors such as those used in high end cameras and smartphones. Repeatable multi-axis motion simulation can help tweak advanced algorithms in image stabilization systems and verify the performance of opto-mechanical or electronic stabilizers. 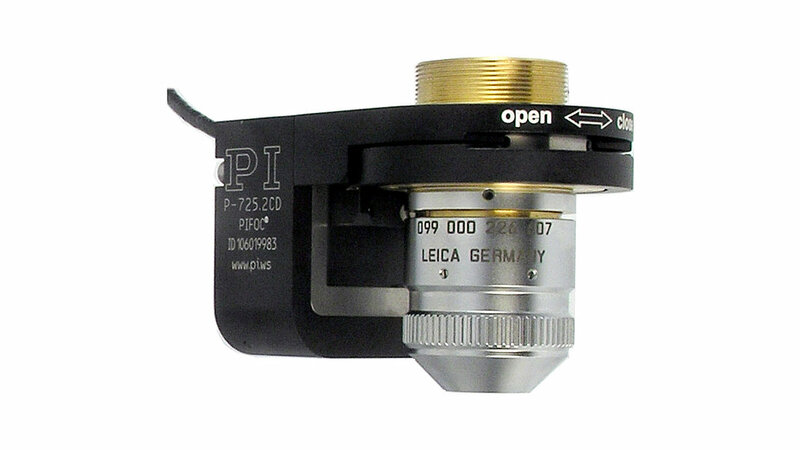 The Camera and Imaging Product Association (CIPA), an international alliance of camera manufacturers similar to an ISO committee established standards for the test and evaluation of image stabilization systems. DC-011-2015 is its latest standard for motion simulation test conditions. For high quality test results, motion simulators need to provide motion highly repeatable with precisely the same dynamics as the original motion they are trying to simulate. This involves running high-precision trajectories with the corresponding dynamics in multiple axes. 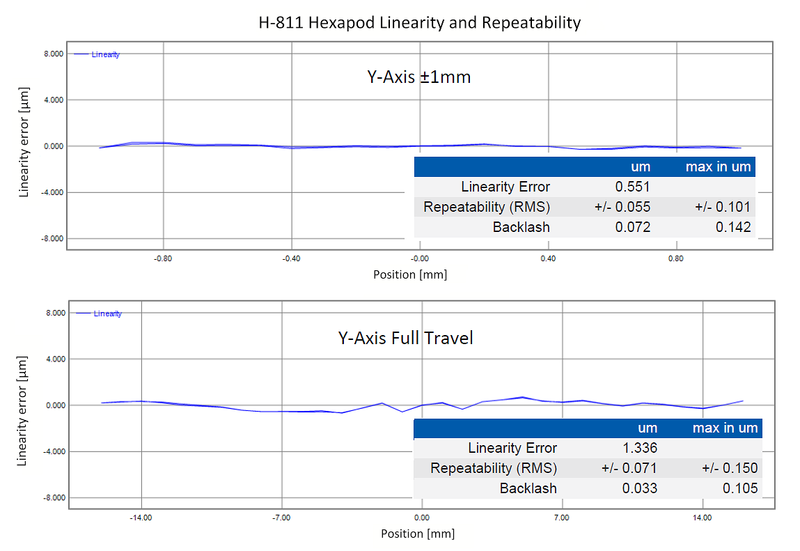 In addition to oscillation mode, the H-811.S11 can also be used in positioning mode, providing resolution down to 100 nanometers with linear travel ranges up to 34 mm and rotary angles up to 42°. 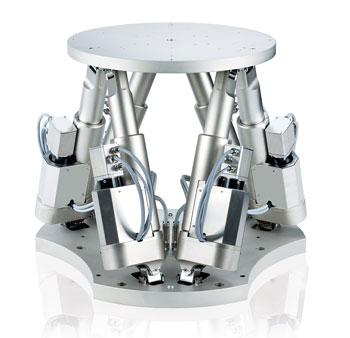 In positioning mode, the hexapod can be used for precision alignment and assembly of sensitive equipment, such as opto-mechanical parts and photonics components. The H-811 compact hexapod has also been proposed for image stabilization to improve optical resolution in suborbital balloon missions. Alexander Miller, Paul Scowen, and Todd Veach estimate, in their recent paper “Focal plane actuation by hexapod for the development of a high-resolution suborbital telescope”, a significant improvement in optical performance. The calculated angular resolution for a 30-inch-class telescope would amount to 0.1 arc seconds, very close the performance of the Hubble telescope. The full article is available here. In addition to image stabilization, sometimes heavier loads need to be stabilized. 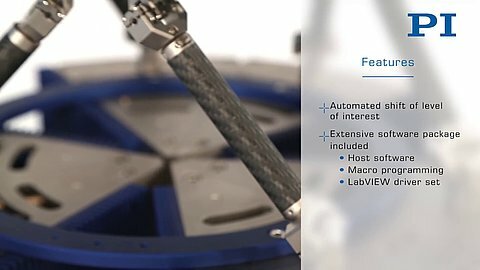 The H-900KSCO Hexapod can handle loads up to 60kg, while providing motion ranges to 200mm (XYZ) and 66° (pitch, yaw and roll). It provides velocity to 80mm/sec and 30°/sec, respectively. Thanks to their parallel kinematic design with very low inertia and symmetrical dynamic performance, Hexapods are the system of choice. 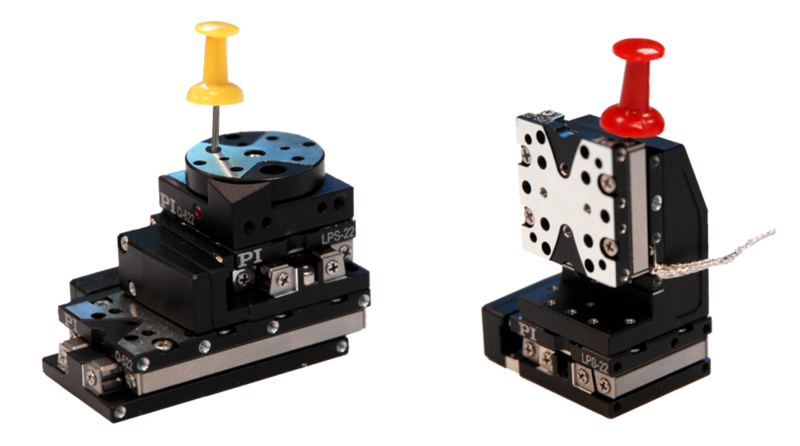 They allow precise and exact repeatable motion in the X, Y, Z and pitch yaw and roll axes. 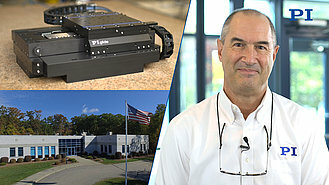 Two PI hexapod systems have currently been CIPA certified for highly dynamic simulation of predefined motion for use in image stabilization systems. For larger loads and travel ranges, the H-840 model and for testing of compact devices, the new H-811.S11. 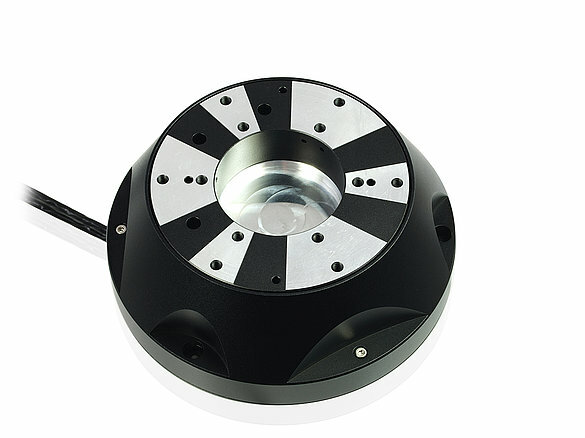 The H-811 is a compact, high-dynamics multi-axis motion simulator based on PI’s successful standard 6-axis mini hexapod series. The hexapod is driven by a motion controller equipped with a wave generator for sine oscillations. Predefined motion profiles can be saved. Digital I/O interfaces also enable external triggering and synchronous data recording. 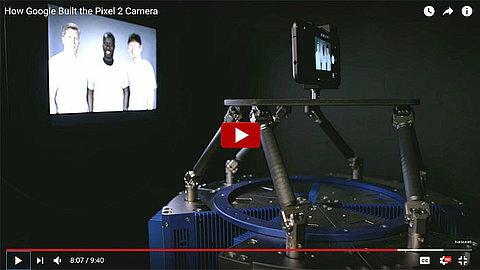 Watch: “How Google Built the Pixel 2 Camera” (Source: Youtube, Nat and Friends). 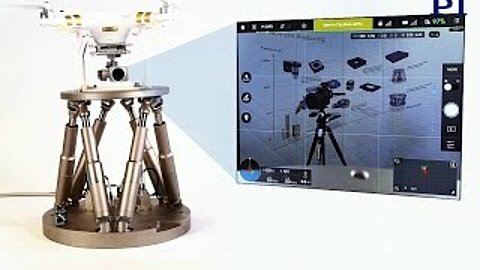 High-speed, programmable six-axis motion simulation such as provided by the H-860 linear-motor hexapod (explained at 8:00) is critical to development of advanced camera features. 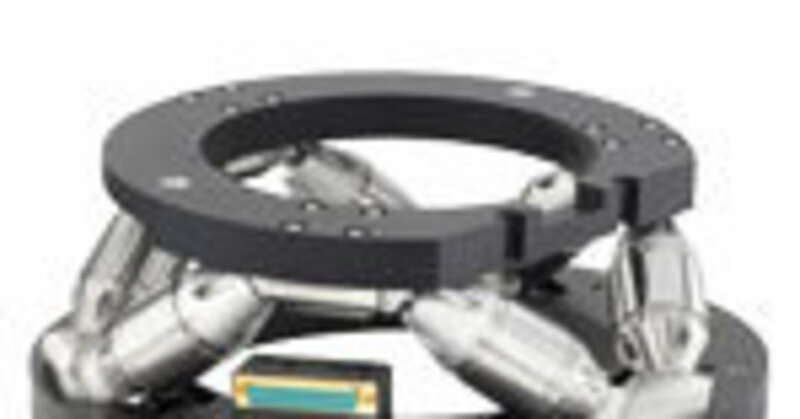 Hexapods with electromagnetic brushless servo motors and ball-screw actuators can provide an excellent balance of high load capacity, stiffness, and low power consumption. With the appropriate mechanical design of the drivetrain and sensor technology, they achieve accelerations to 2 g. They also provide an inherently stiff drive mechanical design, that can even hold a position on power off. 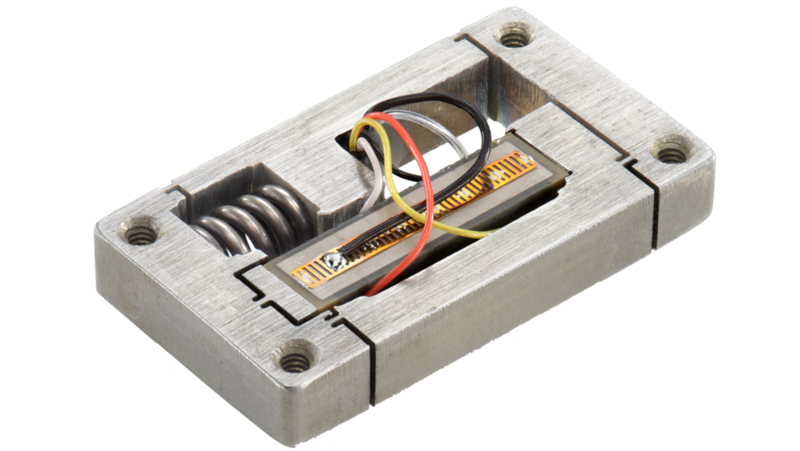 Even higher dynamic performance is feasible with voice coil drives (inherently soft) such as used in the H-860KMAG flexure guided, direct drive hexapod (shown left). Here accelerations to 4 g with velocities of several hundred mm/s are possible. The special design includes zero wear and tear flexure guides and joints and completely dispenses with rolling or frictional elements. The result is zero-backlash motion without vibrational noise caused by traditional mechanical bearings and. Undesired frequency components coupled in from the mechanical system cannot influence the measurement. A compact piezo hexapod for active error correction of long-travel positioning systems with precision in the nanometer and nanoradian range and 1 kHz natural frequency. 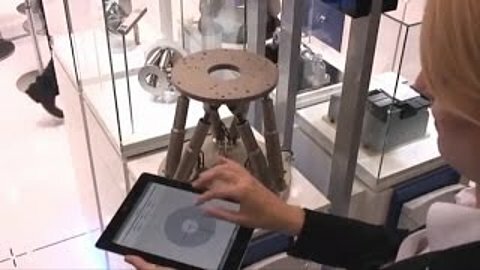 Piezo hexapods provide dynamics in the kHz range, with short travel ranges. Applications are found in dynamic error correction in combination with long travel positioning systems. For example, a piezo hexapod can correct eccentricity, runout, and wobble of even the best rotation stage into the nanometer and nanoradian range. 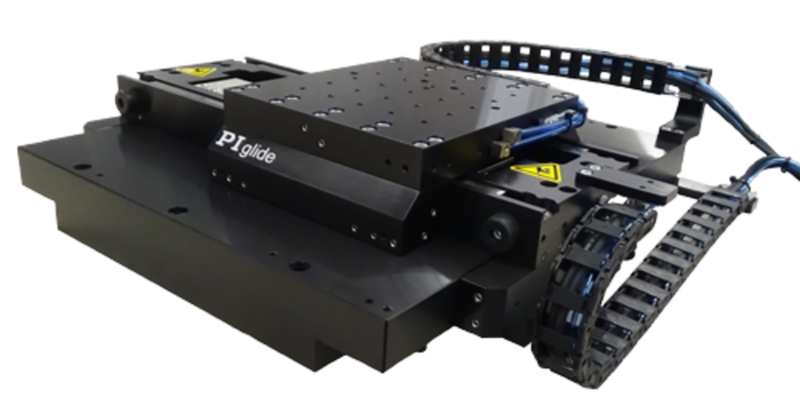 PI’s hexapod family consists of nearly one hundred members, from palm-sized units to high-load systems capable of positioning several tons with sub-micron precision. 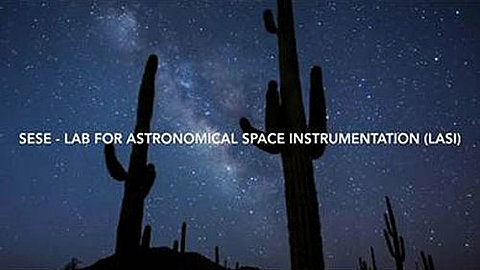 Applications span from medical engineering to silicon photonics and aerospace/astronomy.